This was actually the first time since I've came to college that I didn't blow off class for my birthday. I did have a glass of champagne during lunch to celebrate, though. I also skimmed through my readings that night faster than usual so that I could have some time to myself, because in law school it's almost guaranteed that you'll have reading every single night of every single day of you life. In my contracts class, my professor sent us home with an old test question with three short essay answers and then we went over it in the next class. I'm glad he did this because I would have missed almost half of the available points on the test if it was the real deal. I made the apparently common mistake of diving into the answer without giving any explanation. My professor said the way to score the highest on the test is to answer an essay question like you're explaining it to your mom by giving the rule and its elements, tying the facts to the rule by stating how they're relevant, and then giving the final answer. Another mistake my professor said that is common is that students will bring in irrelevant rules just to show what they've learned, and he said this kills people because they're wasting their time and end up skimming on the end questions since they spent so much time overelaborating and more importantly that people can get too caught up in all of this extra fluff and end up not even answering the question. One thing that I have noticed is that law professors prefer for you to answer your own question, and they do this by asking your question back to you. I can see how this is helpful because they're making you critically think but it can be frustrated when you're confused and then become even more confused when you don't get a straight answer. Usually though they'll eventually let you know why you're wrong. This happened to me when I asked a question this week and at first I was kind of flustered being put on the spot, then I was okay with it and I was glad for the little practice at the socratic method before I'm finally called on in one of my classes. At this point, I've actually learned a lot about the law. This is probably because I usually have between 3-8 cases per class, per day and each of those cases might have about the same amount of cases mentioned that I look into. So now the law is all I can think about. I've noticed that I will now slip cases and rules into every day conversations like how you do when you really like a new guy. Before I came here I got my windshield replaced and in this hot Texas heat the glue holding my rearview mirror melted and it fell down. Habitually, I began to analyze whether I could hypothetically sue for a good or a service and whether this would fall under common law or the UCC. I came into law school not dead set on what kind of law that I wanted to practice, but I was considering intellectual property. After getting my toes wet during just a broad overview of IP in my property class, I'm pretty much over that already because it's a very muddled area of the law right. I also am not a big fan of torts (personal injury and personal property damage) because in a way it doesn't make sense to me. Battery doesn't require someone actually being harmed and assault doesn't even require someone to even touch you. For some stupid reason, contracts really appeals to me because it just makes sense and so it's easy for me. Who knows, maybe I'll end up doing a lot of contracts in my future. Wow! This just helped me so much! I was searching pinterest for law school organization/time management ideas and some how ended up here... 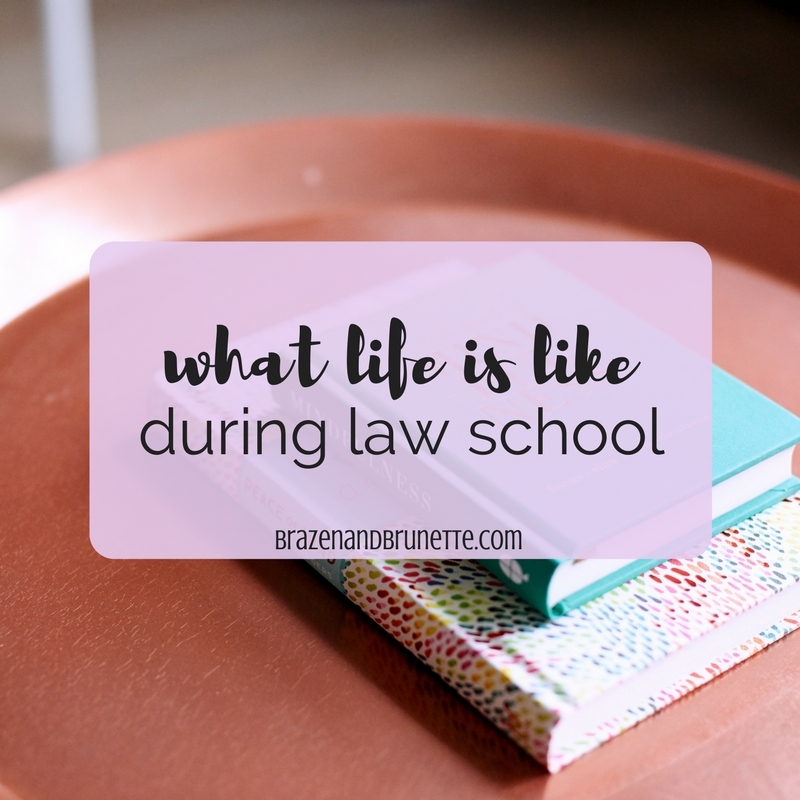 I'm on wk 5 of my 1st semester of law school, and it's comforting to be able to relate to someone who went through what I'm going through almost a year ago! I'm glad I ended up here... and hope everything is going great with your studies! Omg I'm so sorry idk how I didn't see this comment for over a month!! But thank you so much! I'm glad that the power of Pinterest brought you here because I really hope to give genuine and helpful advice about law school. I hope you're already adjusted and smooth sailing in your summer classes!